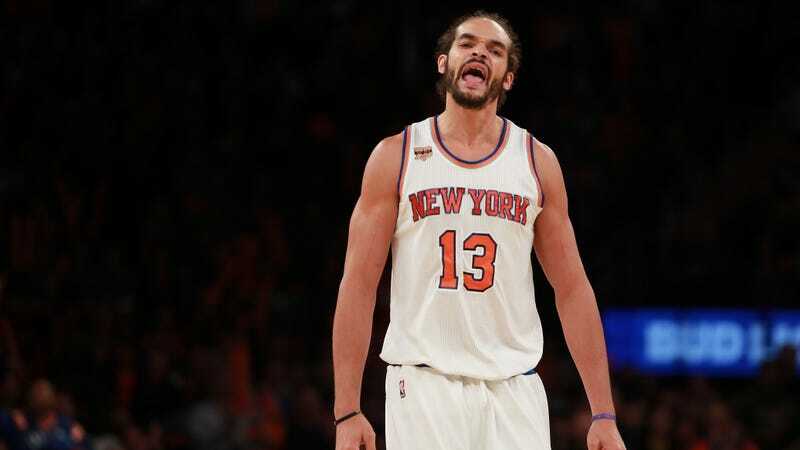 Noah was banned for 20 games late last season for a violation of the NBA’s restriction on performance enhancing drugs, a suspension that ends tomorrow. Holding aside, for the moment, what it means about the credibility of “performance enhancing” drugs that Noah can be proven to have used some at any point in the last four years, this development qualifies as a genuine bummer for the Knicks. Kuzminskas is nobody’s idea of a future star, but he is—in exactly all the ways that Noah is not—as useful player type in the modern NBA. Noah, for his part, is a mummy. The Knicks have less than zero use for his services, and he is perhaps the least tradable player in the NBA. He is Phil Jackson’s managerial incompetence, rendered in leathery flesh. Just when you start to feel really good about the Knicks organization. Dammit.